I don't know if this film was released for the general public. It was shown on TV though. A cassette was released in 1991 and much later a VCD. The censor certificate date is 22.11.90. 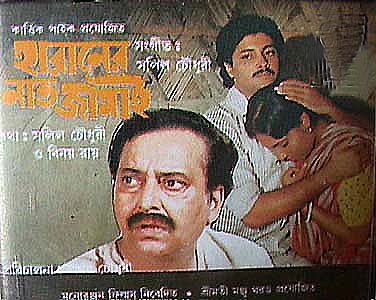 It seems that West Bengal Film Development Corporation had something to do with the production of this film. It does have the only two Anuradha Padowal's song she ever sang for Salil. I must confess that I have never heard of Raaju Roy and since Hemanta Mukherjee died in 1989 his song must have been recorded at least a couple of years before.